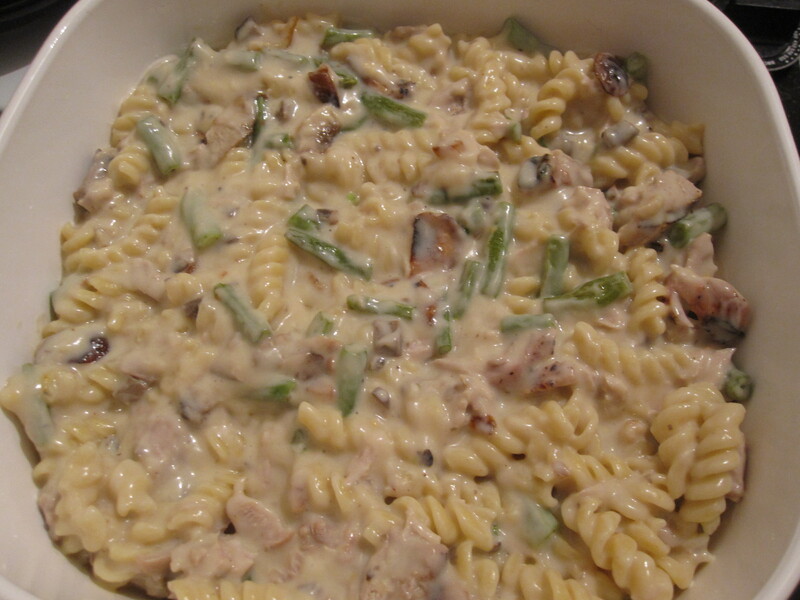 Tuna noodle casserole is an American classic consisting of canned tuna, cream of mushroom soup, and sometimes green beans and other ingredients. 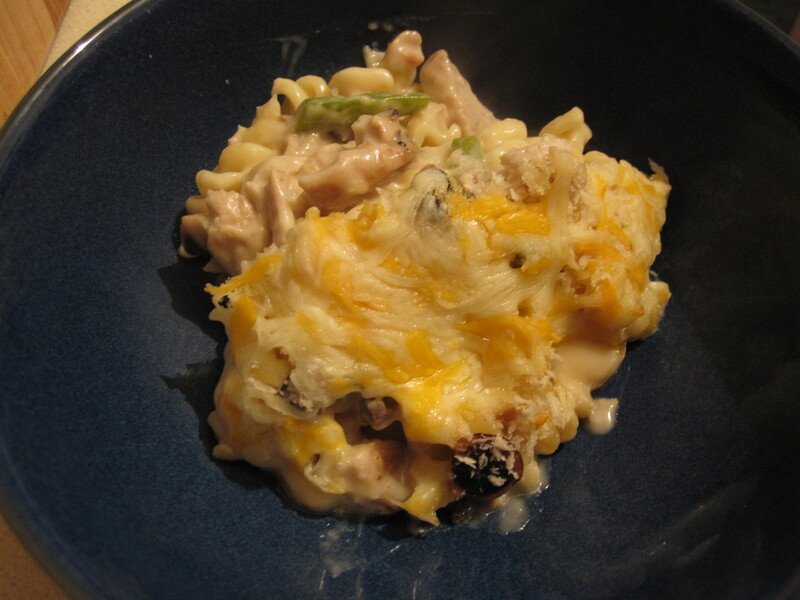 What made this REAL tuna noodle casserole was the use of grilled tuna steaks. 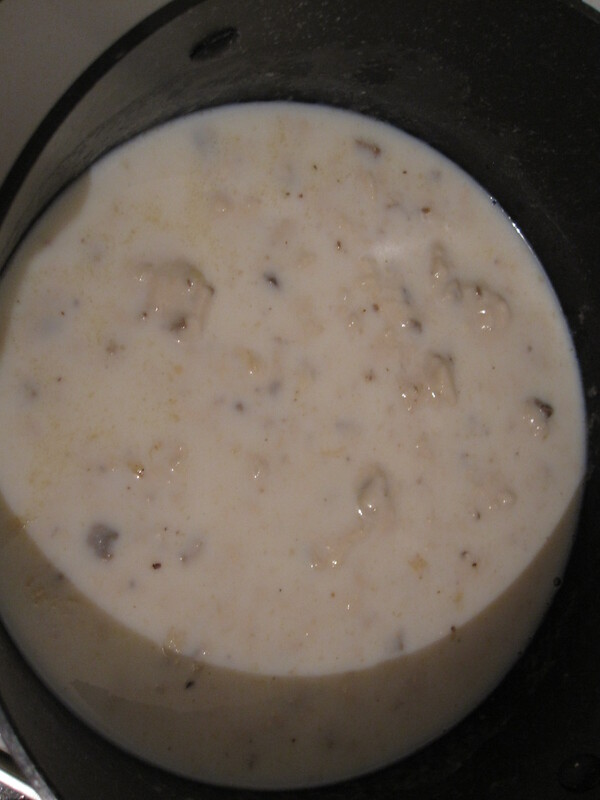 It still contained canned cream of mushroom soup and also green beans, garlic, and locally grown shiitake mushrooms from our CSA. 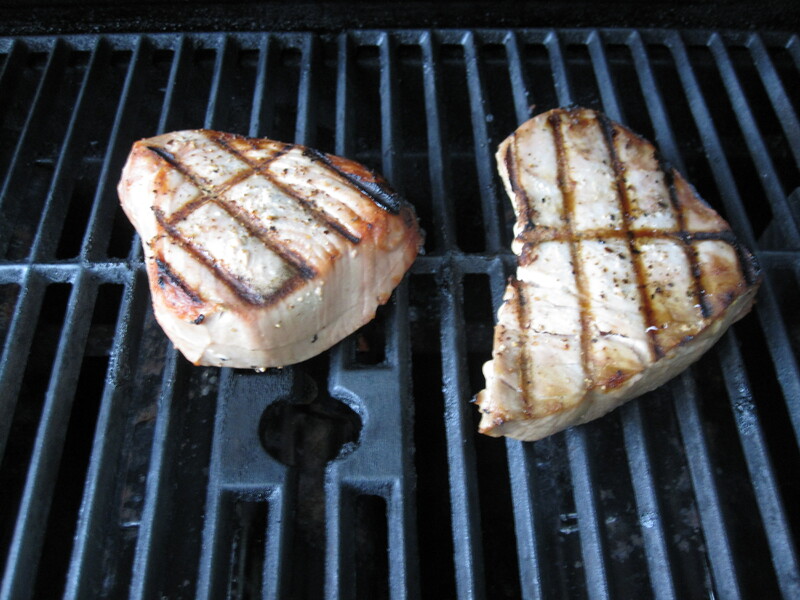 The mentioned show off of the dish. 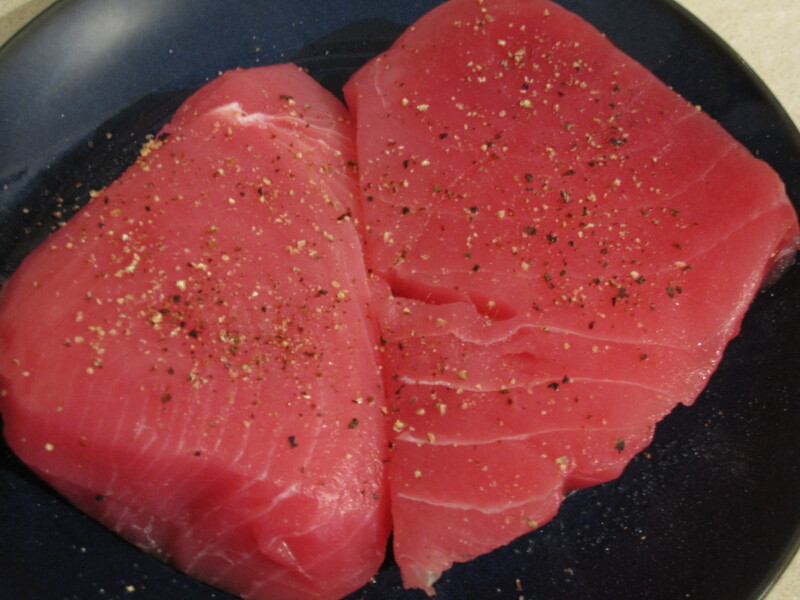 I sprinkled the tuna with salt and pepper and grilled it to medium as opposed to usually searing it rare or medium rare. 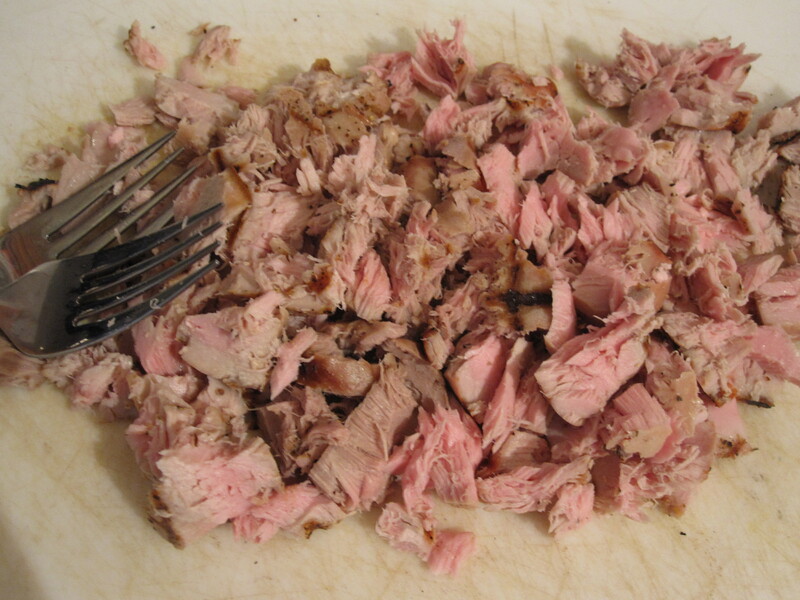 After the tuna cooled, I shredded it with forks and the consistency and coloring were perfect! 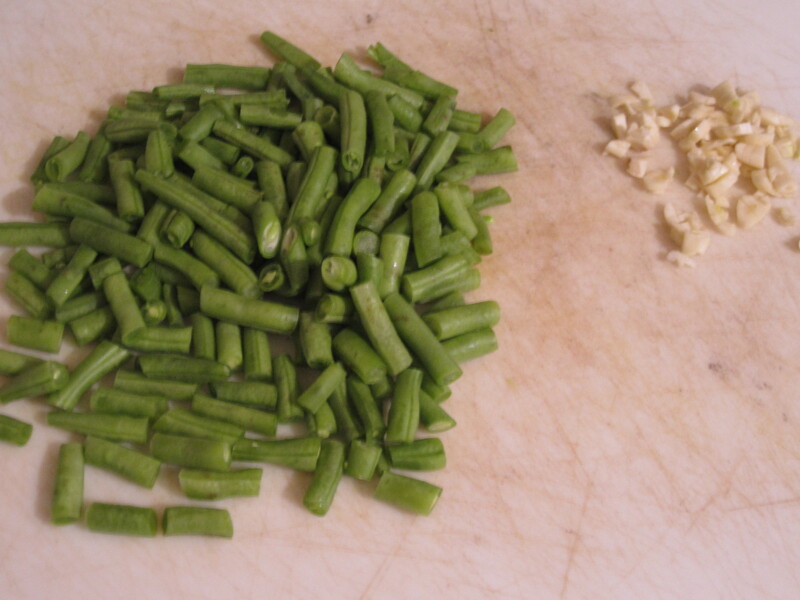 For the sauce, I started by sauteing green beans and garlic in a pan while I made a roux in a pot. 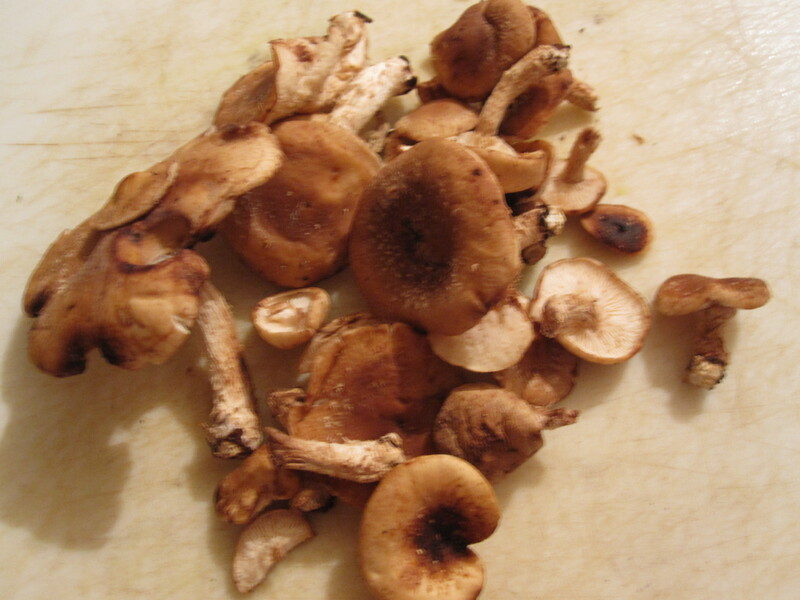 Mushrooms are not my favorite. 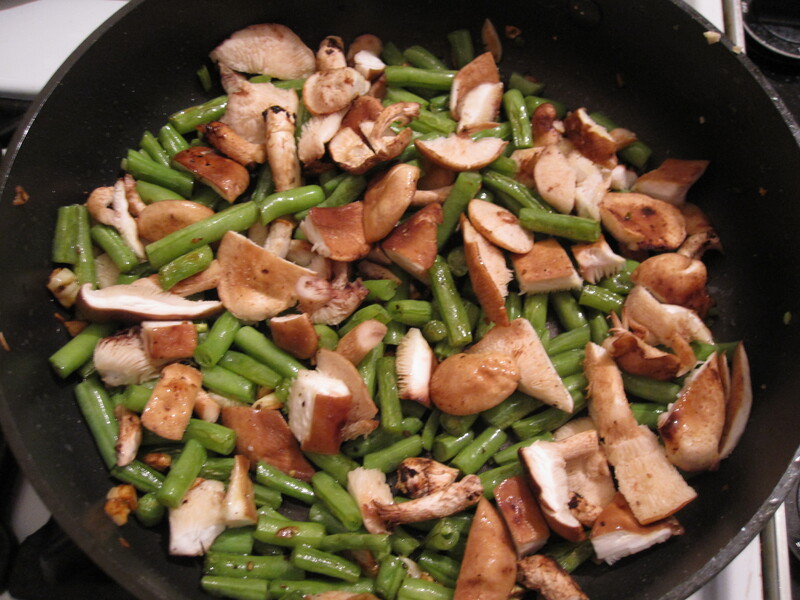 We are not enemies like celery and I are (I know, I know) but it is not my preferred taste so I was a bit apprehensive about having such a strong and almost…..gamey mushroom taste. 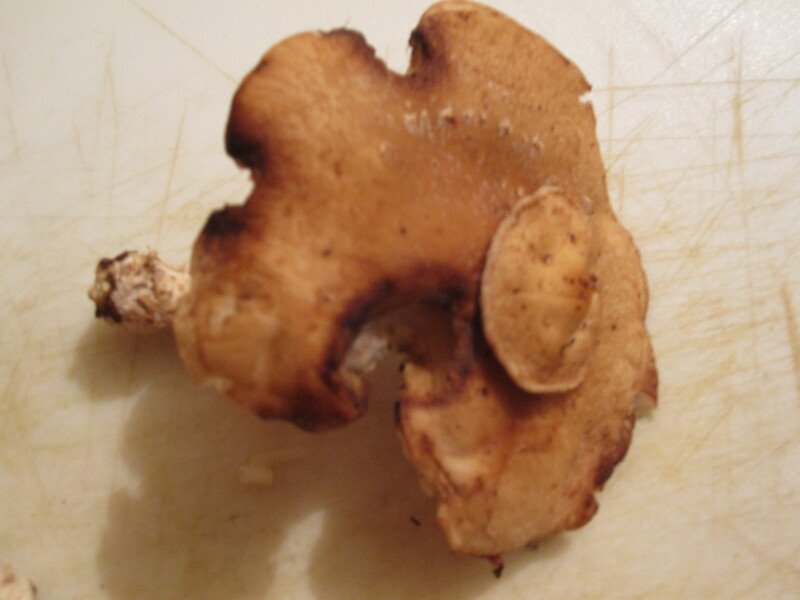 I got a pretty strong mushroom taste once in a while but it was not too overpowering and worked out fine. 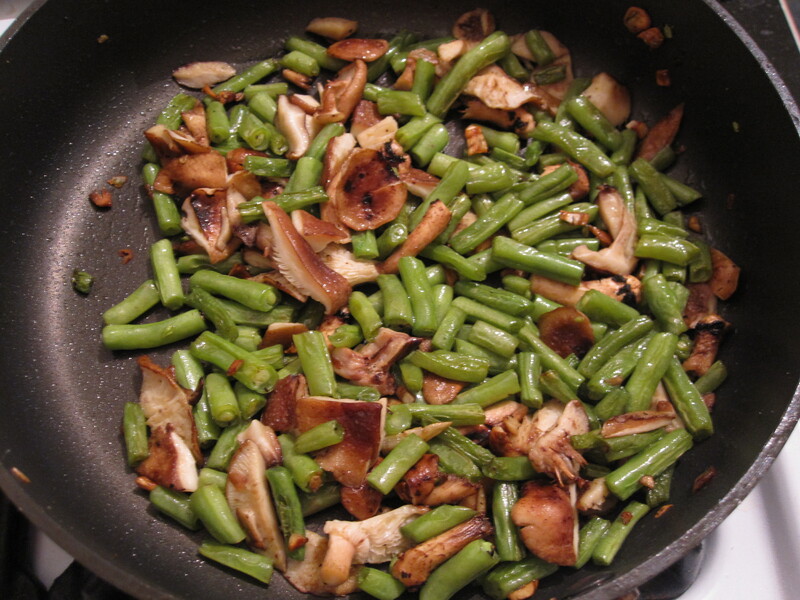 I sauteed the mushrooms for a bit with the green beans and garlic. 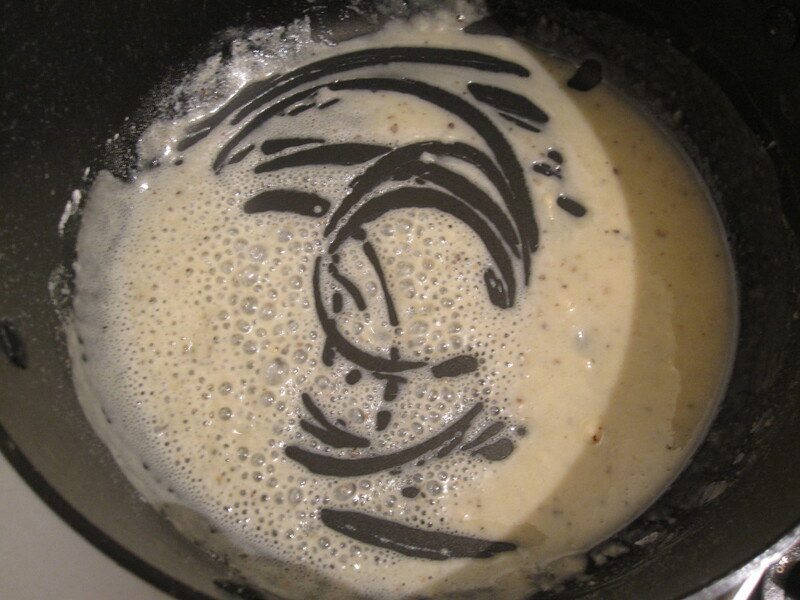 In the meantime, I added the cans of condensed soup to the roux and used milk instead of the water that was called for. 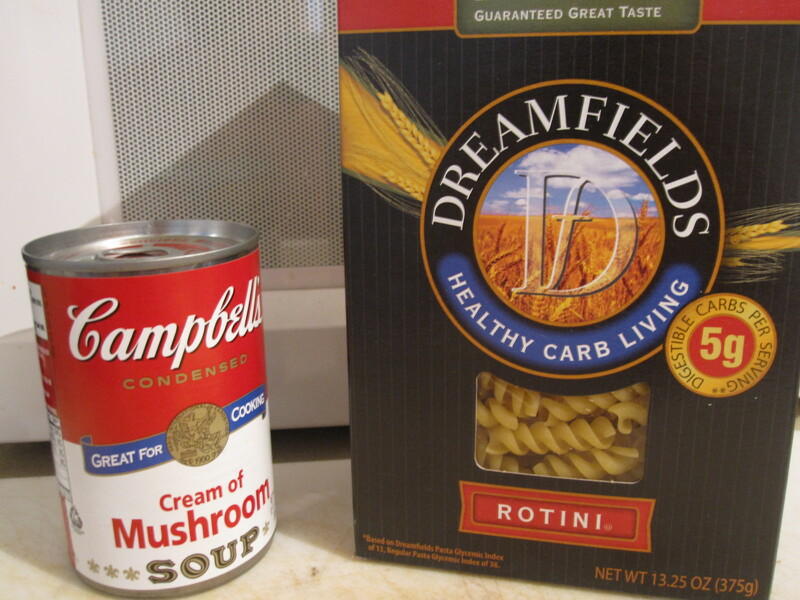 I started the pasta too and again used Dreamfields. 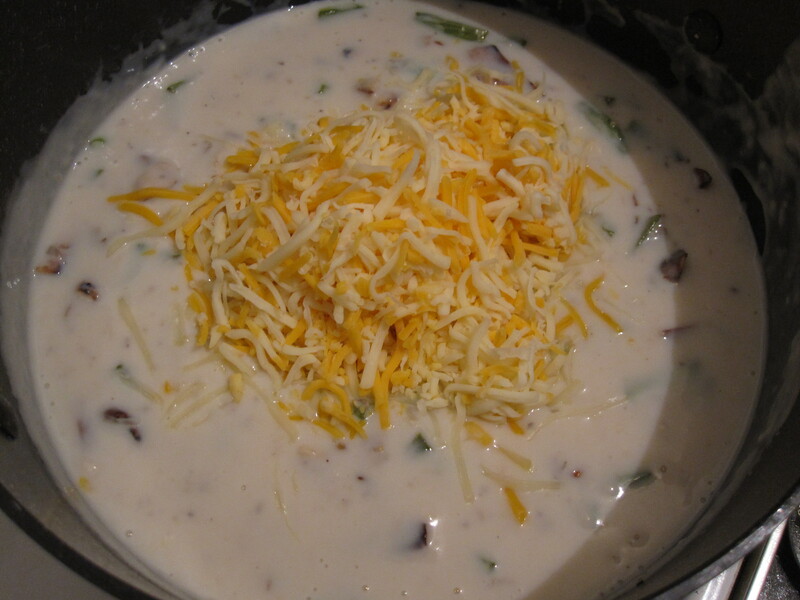 I sprinkled the mix with a thin layer of panko breadcrumbs and another thin layer of cheese. 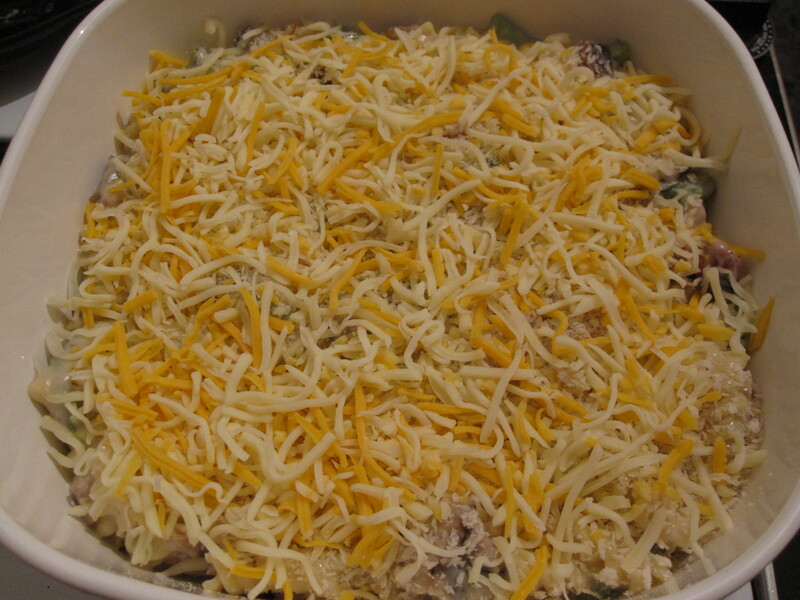 Bake for about a half an hour at 350 until bubbly around the edges and enjoy! 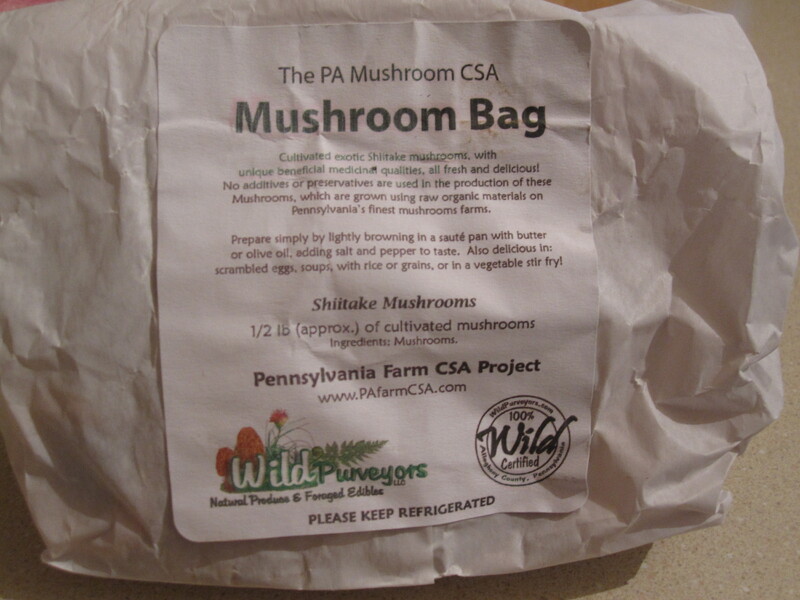 This entry was posted in Casserole, Seafood and tagged casserole, cream of mushroom, CSA, Dreamfields, garlic, green beans, grilled, locally grown, shiitake mushrooms, tuna steaks. Bookmark the permalink.